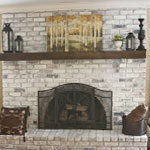 Certified Painting Professionals is your Professional Painter in Chesterfield Missouri. We offer a wide variety of services including interior and exterior painting as well as staining and power washing. Furthermore, we can assist can with a variety of different projects from one bedroom to the entire home. Therefore, you are looking to remodel your spare bedroom or need the man cave repainted, we will be glad to assist you. Our staff is trained to make your vision a reality by knowing the precise questions to inquire. After our team understands your needs and we have a date in place, we began working on your project. Afterward, upon completion, we walk through with you to ensure you are satisfied with the job. Lastly, if there is anything you want to change, our staff will be more than happy to assist with any modifications you wish to make. To us, we know the most important thing to our growth and success is your satisfaction. Therefore, we will do everything to make sure that you are satisfied with us and the job we do. If you are looking for a professional painter in Chesterfield Missouri then you are in the right place, we will be happy to assist with your next project, just give us a call at (618) 560 -7030. Below are the Most Common Painting Services for Chesterfield Missouri. Our team covers a wide range of exterior projects from shutters, decks to concrete. In addition to specializing in exterior painting and staining, we also offer power washing services! If you are looking to revamp the outside of your house or freshen up the color, give us a call, we would love to hear from you. Fences are a specialty of Certified Painting Professionals. 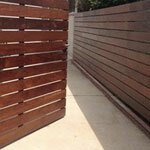 We are trained professionals in painting and staining fences. All you have to do is pick the color and enjoy your time in the sun, while we do all the hard manual labor. It’s just that easy! Don’t waste your weekends and evenings doing hard work, leave it us and we assure you will love your new fence! From painting ceilings, trim to walls, Certified Painting Professionals does it all. If you are looking to redecorate a room or just needing to touch up a room, Certified Painting Professionals can assist! These are just a few of the services that we offer. If you don’t find what you are looking for, give us a call at (618) 560-7030, we will be happy to help!